B.R.A.K.E.S. with Doug Herbert Driving School: Photo courtesy of the B.R.A.K.E.S. Facebook Page. Giving back to the local nonprofits is always such an important part of a successful and thriving community. Not only does it feel good to give to a good cause, but it helps others that are less fortunate and raises the community up as a whole. Luckily, there are many local nonprofits benefitting the community that you can donate your time or funds to. Who they are: For more than 100 years, Big Brothers Big Sisters has operated under the belief that inherent in every child is the ability to succeed and thrive in life. As the nation’s largest donor and volunteer supported mentoring network, Big Brothers Big Sisters makes meaningful, monitored matches between adult volunteers (“Bigs”) and children (“Littles”), ages 6 through 18, in communities across the country. We develop positive relationships that have a direct and lasting effect on the lives of young people. Their Mission: To provide children facing adversity with strong and enduring, professionally supported 1-to-1 relationships that change their lives for the better, forever. To ensure that all children achieve success in life. 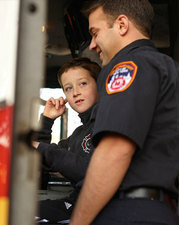 Ways to help: There are many ways you can support Big Brothers Big Sisters. Donate: Your donation positively impacts a child’s life. Not to mention, it makes you a part of something big. Volunteer: There are many different aspects of this organization to volunteer for. Being a Big Brother or Big Sister is one of them, and one of the most enjoyable things you’ll ever do. Not to mention, one of the most fulfilling. lay sports together. Go on a hike. Read books. Eat a pizza with extra anchovies. Or just give some advice and inspiration. Whatever it is you enjoy, odds are you’ll enjoy them even more with your Little—and you’ll be making a life-changing impact. Or, if event planning is more your style, there are groups you can join to assist with. Visit their website to learn more about volunteering. Who they are: The Charlotte Chapter of Speedway Children's Charities is located in Concord, NC. They host events and promotions geared around race weeks and other activities at Charlotte Motor Speedway, as well as events within the Charlotte community. Speedway Children's Charities has had a huge effect by raising hundreds of thousands of dollars that stay right here in the Charlotte community. They dedicate their efforts to funding a wide range of charities - because communities have a wide range of charitable interest and needs. Mission: To reach as many children as possible by supporting those agencies that are the unsung heroes in many communities. Ways to help: There are several different ways to help. Donate: The Charlotte chapter of Speedway Children's Charities is focused on funding a wide range of charities in the community that focus on children in need and their families. Any and all donations make a difference. Volunteer: Speedway Children's Charities relies on their enthusiastic team of volunteers to help at events, in the office, or in any variety of different ways. They have a volunteer position for every skill, every interest and every time commitment and can accommodate individual volunteers as well as groups of all sizes and ages. Who they are: The B.R.A.K.E.S. 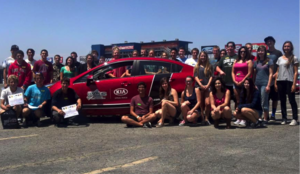 Teen Pro-Active Driving School is a free, defensive driving program. When NHRA drag racing star Doug Herbert lost his two young sons, Jon and James, in a tragic highway accident in January of 2008, his grief led to his resolve to create a driving program which would help to prevent other families from experiencing similar heartbreak by teaching young drivers more conscientious and confident skills behind the wheel. Mission: To prevent injuries and save lives by training and educating teenage drivers and their parents about the importance of safe and responsible driving. Ways to help: The B.R.A.K.E.S. Teen Pro-Active Driving Course is offered free of charge. As a non-profit 501 (c)3 organization, B.R.A.K.E.S. relies on donations, sponsorships, and various fundraising events to allow them to provide this lifesaving program to teenagers across the country. Donate: B.R.A.K.E.S. relies solely on donations to support their business. Visit their website to learn more about different ways you can donate to a great cause. Volunteer: As a volunteer, you can choose to volunteer at their driving schools, their front office/clerical work, at Special Events, as an Advocate, or as a Board Member. Visit their website to learn more about ways you can volunteer. 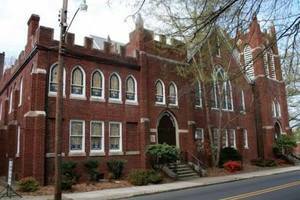 Who they are: Cooperative Christian Ministry began in 1981 when seven Concord churches decided that by combining their efforts they could reach more people in need and provide greater assistance to the community as a whole. Their vision is that every person in our community discover their purpose and experience the fulfillment that God intends for their lives. Mission: To provide immediate assistance to members of our community who are experiencing crisis in the areas of food, shelter, or finances while engaging them in a series of actions that will empower them to move beyond crisis. Ways to help: The Cooperative Christian Ministry is a 501(c)(3) nonprofit that is committed to assist Cabarrus and Southern Rowan County families in crisis. Your financial support is critical in meeting the needs of our neighbors. Visit their website to learn more about ways to donate. Volunteer: Each volunteer job opportunity requires a specific task and time commitment, from one-time projects to once a week responsibilities. Although they have a wide variety of volunteer opportunities the need in each of these areas fluctuates. Consider attending a Talk ‘n Tour Orientation to learn more about CCM and the opportunities to get involved. Volunteer information sessions are held on the first Tuesday and Wednesday of each month. Check out the Talk ‘n Tour Schedule to find a date that works for you. Visit their website for more volunteer information. Who they are: Old Courthouse Theater is staffed and run by volunteers. It is regularly supported through the sale of season tickets, private donations, sponsors, individual ticket sales and lastly, by a Grassroots Grant through the Cabarrus Arts Council. The OCT receives no city or county money at this time yet contributes to the community by donating tickets to other Cabarrus County non-profit organizations to aid in their fundraising. The OCT name is well recognized and respected in the region and has been rightly earned by providing thirty three years of excellence. Launched as a result of one person’s dream, Old Courthouse Theatre carries its tradition as Cabarrus County’s only Community Theatre. Mission: To offer quality theatrical performances for all to enjoy. Ways to help: Become a sponsor and help each show! Visit their website to learn more about becoming a sponsor. Donate: Every year the operation of our beloved theater and the annex building become increasing more difficult. As the interest rates and cost of living increase the cost of operating our facilities increases as well. Or, you, your friends and loved ones can be a permanent part of the Old Courthouse Theatre History by ordering an engraved brick paver to be placed in our grotto. Visit their website to learn more about different ways to donate. Who they are: The Humane Society of Concord & Greater Cabarrus County hopes to create, among the people of Cabarrus, North Carolina county, an awareness of animals in need of help and a method to control the animal population by spaying or neutering pets. Investigate cases of neglect and cruelty and take appropriate action against those responsible. Unite lost pets with their owners and find new homes for homeless animals. Educate the public regarding proper care and treatment of animals urging kindness, responsibility and better control of over-population of cats and dogs. Promote pet therapy in nursing facilities. Maintain an informational hotline. Mission: To end animal suffering and cruelty, reduce overpopulation and educate the public regarding responsible animal ownership. This mission is accomplished by utilizing trained volunteers to investigate cruelty, supporting efforts to establish a low cost spay/neuter clinic for low income families and a sanctuary for homeless animals. Ways to help: There are a few ways that can assist the Humane Society in Concord, including volunteer work, animal fostering, food and monetary donations, and adoption. Donate: The Humane Society of Concord & Greater Cabarrus County is constantly changing and growing. With multiple adoption locations, they now, more than ever need your support. They are an all-volunteer organization and the only income sources are from adoption fees and donations. There are many expenses involved in keeping these animals safe and healthy and could use the community support. they also have a Wish List of specific items they are in need of, if you are looking for a more direct way to donate. Volunteer: There are many ways you can volunteer your time, including kennel clean up, fostering an animal, help with publicity and raising funds, and other miscellaneous activities. Visit their volunteer webpage to find out more ways to assist. Who they are: They are a Christian based, 501(c)3 non-profit puppy rescue in Cabarrus County, NC. Kreitzer's Critter Corral Puppy Rescue specializes in puppies 12 weeks and younger especially the orphaned and abandoned infant puppies who need to be bottle fed; as well as pregnant dogs and dogs who have recently given birth. To provide a safe & loving environment for puppies, pregnant female dogs and female dogs who have recently given birth. To educate people on the importance of spaying & neutering their pets, making sure their pets are kept current on shots, heart-worm and flea preventative. Ways to help: Kreitzer's Critter Corral Puppy Rescue is run completely on donations. 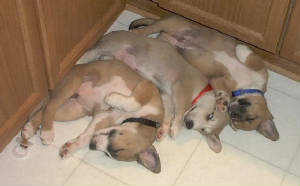 Every donation made, helps them in their efforts to save and find loving forever homes for abandoned/unwanted puppies. Donate: There are several ways to donate to this Puppy Rescue. You can check out their Wish List for specific items to donate, you can purchase a sleep cot so no sweet puppy has to sleep on cement, or simply make a donation, and of course you can adopt a sweet puppy. Visit their website for more donation information. Volunteer: Interested in volunteering? Send an e-mail to volunteer@thepuppyrescue.com. They are in need of dog walkers, kennel cleaners, puppy cleaners, fundraisers, foster parents, and other miscellaneous tasks. Still looking for a nonprofit that is more in line with what you want to do? Check out our previous nonprofit guide 5 Local Nonprofits That Need Your Support In 2016. Did we miss an important nonprofit? Tell us about it by contacting us. Photos courtesy of their prospective webpages.